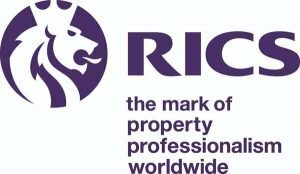 When employing a Surveyor, a firm ‘Regulated by RICS’ is reassuring as you then know that as well as providing the service you need, it is also regulated by an internationally renowned and respected professional body. In a world where people, governments, banks and organisations demand greater transparency and certainty of professional standards and values, attaining RICS ‘regulated’ status is the recognised mark of property professionalism. Survey Spain’s surveyors have all trained to graduate level and met the RICS entry standards that ensure all applicants and all new entrants into the profession meet high levels of technical ability. Thereafter, RICS members have to demonstrate that they have experience and maintain the highest standards of the profession. Similarly, Survey Spain has carefully selected the RICS members of their Network to ensure that they have wide experience and are living and working in Spain. RICS regulation provides assurance to clients, markets and the general public that members and firms operate to the standards set out in RICS Rules of Conduct and that there are sanctions if they don’t. Survey Spain’s RICS approved procedures, philosophy and ethics are in place to provide for the protection of our clients. Survey Spain meets other essential parts of complying with RICS regulation in having an approved Complaints Procedure and Professional Indemnity Insurance. Confidence that you are assisted by the highest professional authority in property and that you can always expect to be dealt with professionally and ethically. 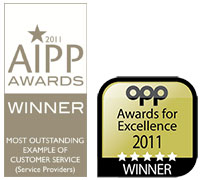 Complete transparency in terms of business and fees charged for any work undertaken. Peace of mind that you have recourse to a prescribed Complaints Handling Procedure, including appeal to independent arbitration. Trust in the professional knowledge, skill and experience of Survey Spain’s chartered surveyors; that they will advise with a ‘professional conscience’; and will include answering the questions you didn’t know to ask!